If you were to have a little nosey around my home it would be blatantly obvious to you that when I am crushing on something you sure as hell can tell what it is. Our house is a shrine to my love of colour and flowers and cushions and washi tape and the one that literally hits you in the nose before you make it past the entry - is my life long love of candles. I am obsessed with them, like a One Direction fan kind of obsessed and so I have them in pretty much every room of the house. 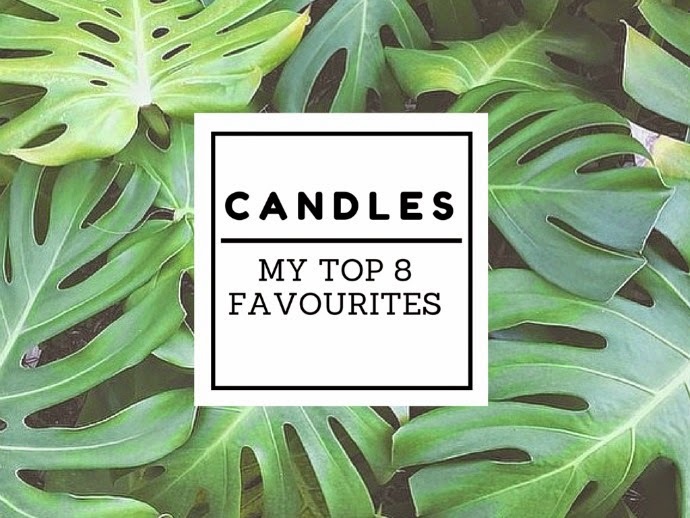 I light them up ritualistically every evening before my hubby hands me my end of the day tipple and I have also been known to light them during the day .. you know just because I can. In my defence I am the only female in a house that has testosterone dripping off the walls. Except for the female dog, who is a dog and a desexed dog at that, and although I have absolutely nothing against desexed dogs and all that, I am not really going to call hr to the witness stand if I am ever called to trial over my obsession. Man, exactly HOW do I manage to get so off track? 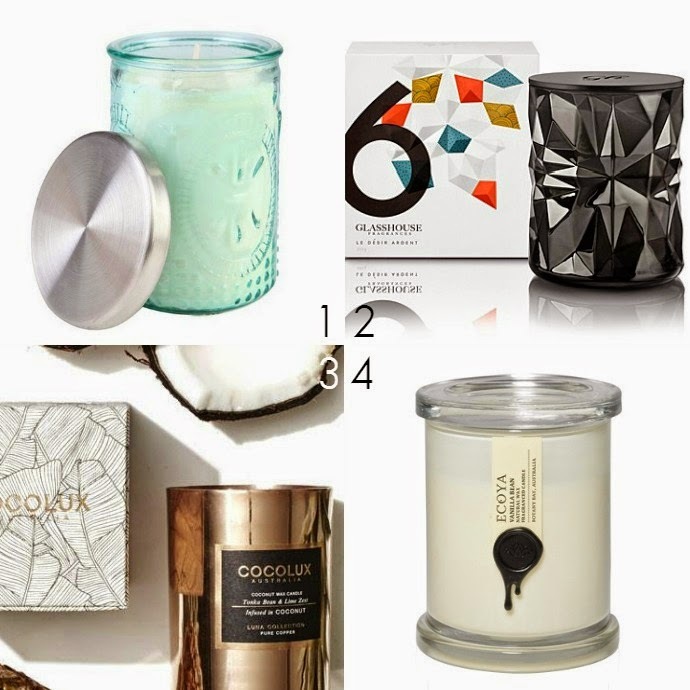 Anyway I thought I would share my top candles I am currently obsessing on... except for the Coco Lux one which I have ordered and am patiently stalking the postie for and the lavish Tom Dixon one because ... well... quite frankly that one will probably always remain just a dream cause simply put - I just can't afford it. 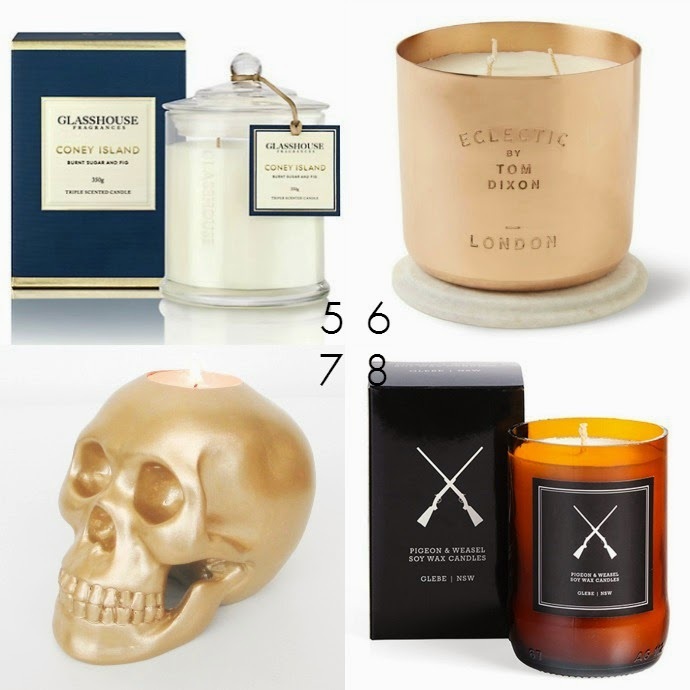 Do you have a thing for candles? Anything else you are obsessing on lately?